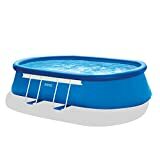 How to install your In-ground Pool Slides? Having a pool is a fun filled addition to any home, particularly where the winters are cold and the summers are hot, as you’ll want a nice place to cool off when the heat is bearing down. More and more homes are opting to get pools put in as the cost of living increases and property values soar with the addition of these great features. If you’re like some, simply having a pool is not enough. While there are limited features you can employ to ensure maximum usage of your pool, one such option is the implementation of an in-ground pool slide. Not just reserved for small children, pool slides can be added to provide a different and exciting touch to your pool that your neighbours might not have and also give you more reason to take a dip in your pool every day. What are the factors to consider when building an in-ground pool slide? Permits: Before any progress can be made, you will first need to establish whether or not you are permitted to add a pool slide. In some locations a permit may be required or you may not be allowed to install a pool slide at all. Contacting the local regulators or council will help to ease the process along and get you all the details. Additionally you can try contact local pool shops and getting their expert advice and opinions. Compatibility: The next step towards having an in-ground pool slide is selecting the one appropriate for you. It is much easier and cost effective to purchase a premade one and install it yourself. Accessibility: When selecting your slide you want to ensure that it is of a design that will be accessible for everyone. Having a smaller slide will not be the best choice where larger people will want to use it; with the same applying for slides with tight turns and small gaps in between. Steps: The steps of the pool slide should contain padding that prevents slipping and helps people get to the top of the ladder or staircase safely without the risk of slipping. This step will mostly be covered by the fact your pool slide will be premade and ready for installation. In some cases it will not, therefore you will need to pay careful attention to how you create the pool and assemble it to ensure that every piece is where it should be and that it is structurally sound and safe. Materials: While most are made of fibreglass some have additional features. If you have the means to maintain it, you may consider having a water pump from the pool to the top of the slide so that a continuous stream of water can help lessen the amount of friction as you slide down, similar to what you would find at a commercial water theme park. This can have some adverse affects on the life of the pool slide if not properly attended to but that is discussed further on as a form of maintenance. Placement: Placing your in-ground pool slide should be planned out, as it will become a permanent fixture unless forcibly removed. When selecting a location to place it, you are limited to the deep end of the pool. Placing a slide situated on the shallow side of the pool provides a safety hazard. The depth of the water should be fairly deep to ensure that anyone using the pool slide will not be at risk of hitting the bottom of the pool. Placement should also consider the surrounding environment. Having it out of the way of the general walking pathways that people take when accessing the pool will prevent it becoming an obstruction issue. Also placing it in a location where it can be safely accessed and not hindered by other tools and foliage around the pool will assist in keeping it in top condition and preventing further wear and tear. Installation: More than one person will definitely be required when applying your pool slide. Additionally the installation of an in-ground pool slide should occur after the pool has been created. The slide itself will be heavy so you will need to pay careful attention to how you perform the installation process so that it is perfectly aligned in place before applying any blots and screws. Following the instructions will give you a good understanding on what to follow when installing your specific slide. Also check the warranty, as in some cases you may void your warranty if you opt to install the slide yourself rather than get it installed by a paid professional. Sun damage to the fibreglass of the pool slide can cause it to become brittle, cracked and also increase the amount of friction as you slide down it. If you have chosen to install additional features to your pool slide such as a water cycle, make sure that the motor for that water pump is checked and maintained regularly to prevent issues in the future. Safety is of the utmost importance with any project. If at any time you feel as though there may be an issue, it is advised that you contact a professional to assist with your task. This may be the case during the assembly of the slide and the installation of the slide itself. Due care should always be taken with these large projects, especially when a significant amount of money is invested.